Home » Blog » Cars » Comments » History » Popular Articles » Malta Diary Heading for total road gridlock? 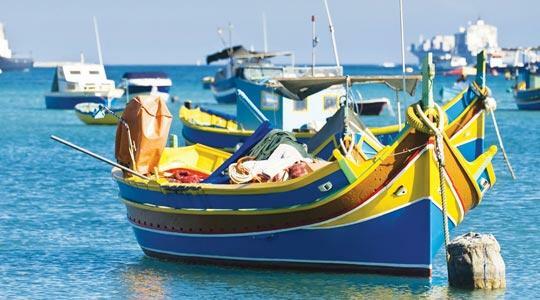 Malta Diary Heading for total road gridlock? I don’t drive and have never driven. Since boyhood I have had an electro-mechanical phobia – which means that anything that falls under those categories has me in spasms of anxiety. When I reached the age of 21, my father had a car and two vans and frequently dangled keys in front of me and offered me preliminary lessons, but I always shied away. Paradoxically enough, my work in HR and general company administration management later always involved being in charge of company transport and its administration! Neither have I ever been able to ride a bicycle due to lack of balance yet paradoxically again, I learnt to swim when I was six years old. Strangely enough bicycles have never been THAT popular in Malta and Gozo – which really defies logic in such small islands. 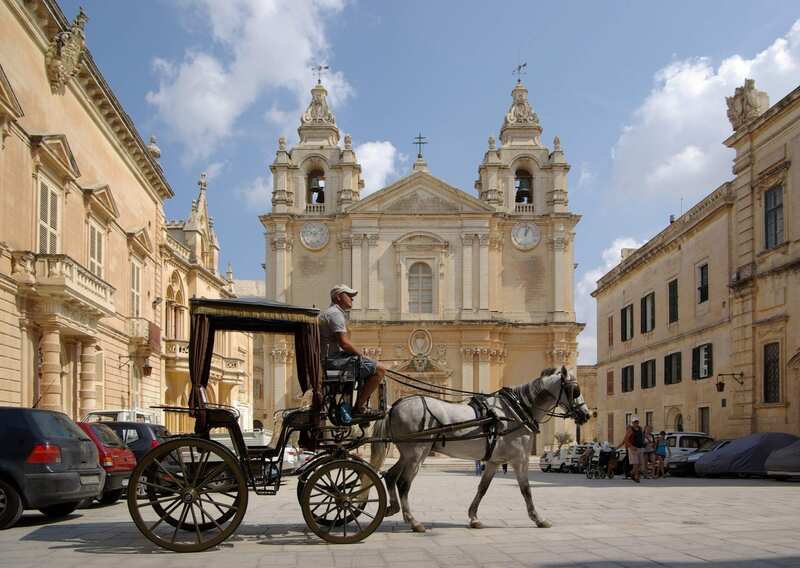 But then, the Maltese and Gozitans have always defied logic – so, beside a new and gleaming Mercedes Benz it is not unusual to find a horse and cart or a fancy trap being drawn by a frisky pony, weaving in and out of the general traffic jungle. It used to be donkeys and mules 80 or so years ago and as recently as 50 years ago but then people like Mr Ford went and spoilt everything by coming up with the economical family motor car and revolutionised transport. External and internal transport communications have always been essential to the islands, miniscule rocks stuck in the very centre of the Mediterranean Sea, probably the remnants of mountain and volcano tops when the land bridge connecting Africa to Europe collapsed in what must have been a series of tumultuous earthquakes. the elegant lateen sails entering Malta’s Grand Harbour. Where did the first inhabitants come from – probably from nearby Sicily a mere 60 miles away? Whatever, they must have been ingenious and left their mark in stupendous Megalithic Temples before the advent of the Iron Age. They are ornate, carved and elaborate, a feat of architectural engineering, oriented as they are to capture the rays of the sun in strategic positions in different seasons and World Heritage has designated them as possibly the oldest free-standing buildings in human history. Were the stones hewn from Maltese limestone or were they sea-transported? The mystery remains, thrown into greater puzzle by mysterious “cart tracks” still evident, hewn into rock and running on parallel lines like a railway system. By the time Phoenician ships arrived from Tyre and Sidon (Lebanon today), various villages had sprouted about the coastline and hence the temple brothel at Marsaxlokk (later designated as a Temple of Juno) thrived to slake the wonton requirements of sailors and soldiers who had been at sea for many weeks – and possibly months. The Phoenicians brought with them the lateen sails that many, many centuries later were still popular on the Maltese luzzu and provided the inhabitants with inter-isle sea travel between Malta, Gozo and Comino. These were sea-worthy boats used for fishing, passenger travel, mail and the carriage of packages and goods. 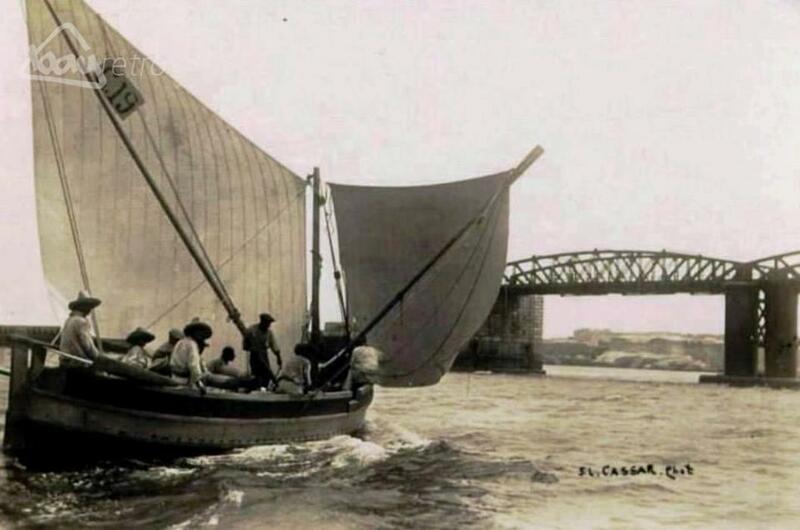 The lateen sails were still in use 50 years ago but again, some spoilsport invented inboard/outboard engines and the sails died a natural death – although the luzzu is still widely used today for fishing. 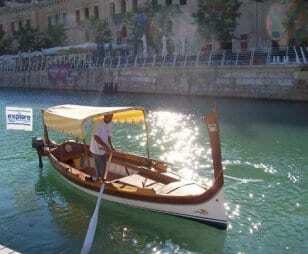 Multi-coloured “dghajsas” roughly based on the Venetian gondola are still evident today although in vastly reduced numbers and now solely used by tourists for joy rides. Inescapably, the marine transformation from sailing galleys to coal and steam and subsequent sea transport evolution had to involve Malta. The Knights of the Order of St John built the first dockyard in the 16th century to build and service their own galleys, a resource that proved to be a major colonial marine attraction to the British Government in the early 19th century and equally proved to be invaluable for troop movements particularly after the inception of the Suez Canal (as a quick route to India) and later as a ruling hand on general Mediterranean sea-faring. During the Second World War the Malta Dockyard was one of the most heavily bombarded areas by Axis German and Italian bombers. In the early 1950s the ‘yard was employing over 25,000 Maltese personnel involved in ship repair and began to transform to commercial shipping by the late 1960s and British decline. Very sadly the dockyard has now also disappeared – despite having a China Dock that was amongst the largest in the world. Road transport began to hot up in the early 1920s and 1930s and a faster pace of life saw the increase of motor vehicles – for those that could afford them. For those that could not – Malta’s own transport entrepreneur Mr Joseph Gasan stepped in and introduced bus transport at cheap fares which burst into popularity overnight. This form of public transport also underwent its own evolution. At the time illiteracy was still rampant. Placards showing route destinations and numbers were useless. Instead, different coloured buses denoted different routes. The red bus went to Hamrun and Birkirkara; the light green buses to Sliema; the light/dark blue bus to Mellieha and the orange and green buses to Zejtun. They were a dash of colourful splendour on Malta’s roads. 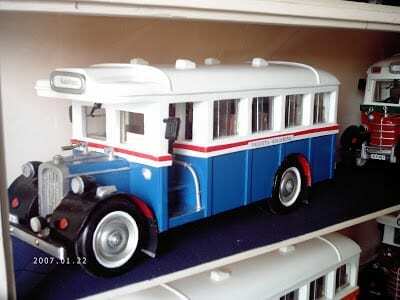 Early version of a Maltese bus on the Valletta to Kalafrana route. 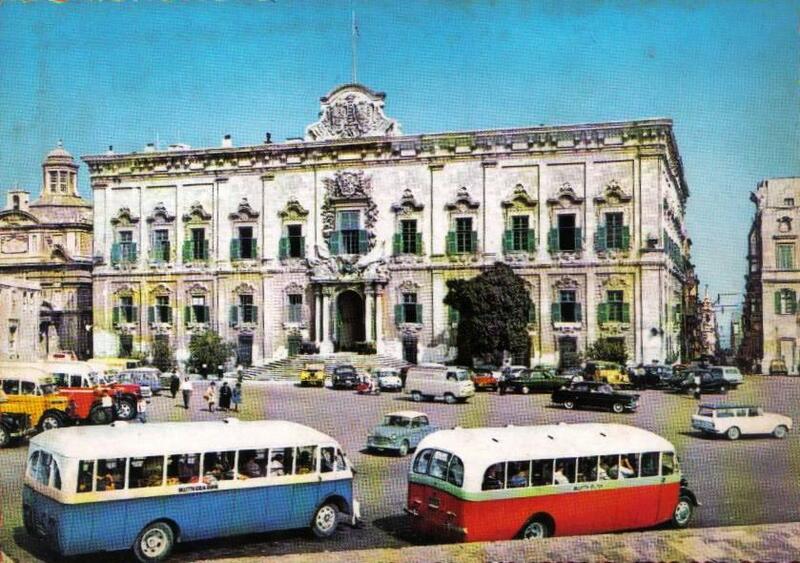 In stepped Malta’s Prime Minister Mr Dom Mintoff in the early 1970s who deemed the colour schemes had remained a remnant to the dark days of illiteracy and ordered all buses to be painted green and some years later a gaudy yellow. Over the years bus ownership became the domain of a number of private operators, some of them still using buses that had been in operation since World War II. Two years ago, the Malta Government handed public transport to the international company “Arriva” in what resulted to be an expensive, controversial and mainly ineffective transformation. 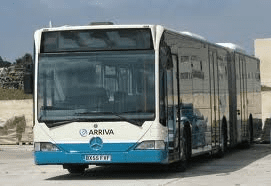 “Arriva” has now called it a day and pulled out and public transport was for a while Government run until a new Spanish private contractor stepped in. 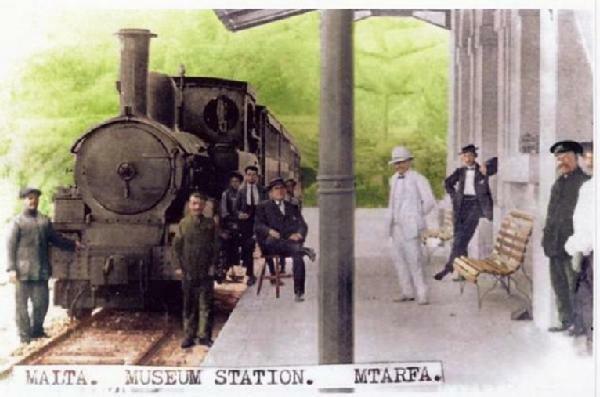 One of the old Valletta terminals at Kastilja. However, the “Arriva” fiasco has had a long-lasting and devastating effect on road transport. Promising efficiency, their service went from bad to worse, mainly due to very bad advice from the then Malta Transport Department. All the routes were tampered with, the service became an inefficient shambles and totally unreliably and the advent of monstrous “bendy buses” clogged up Malta’s roads and was exacerbated when four of them caught fire in a matter of days! The result was a mass return to private vehicles and although the system has now improved, it is still viewed with suspicion and thus a country of 420,000 inhabitants currently has 300,000 licensed vehicles. Alarmingly Malta is now moving towards gradual gridlock in some areas with much time wasted to travel relatively short distances. The roads are narrow, made narrower by parking and clogged by vehicles. 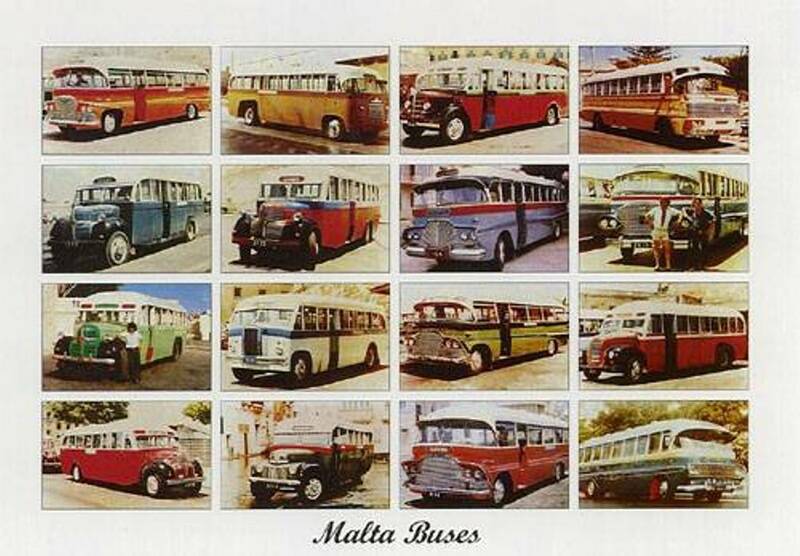 A commemorative postcard of Malta’s former colourful buses. The general consensus is that we were better off when we were supposedly worse off with multi-coloured old boneshakers! All kinds of wild proposals are being considered including underground railways, high-speed electric flyovers and others and other wild and expensive baubles. In a situation where the ruling Government party of the day continuously insists on low-priced petrol and diesel to court popularity, my solution would be to set prices sky high and drive private vehicles off the streets – but that’s why I am not in politics. 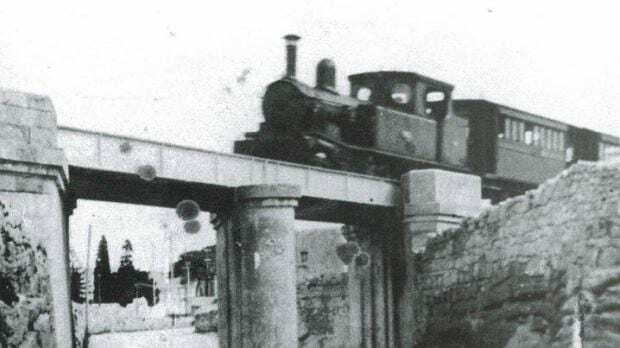 In case you were wondering, Malta even had a coal/steam driven railway system in the 1920s and 1930s, admittedly limited to one line that ran from Valletta to Hamrun to Birkirkara to Attard and terminated at Rabat. 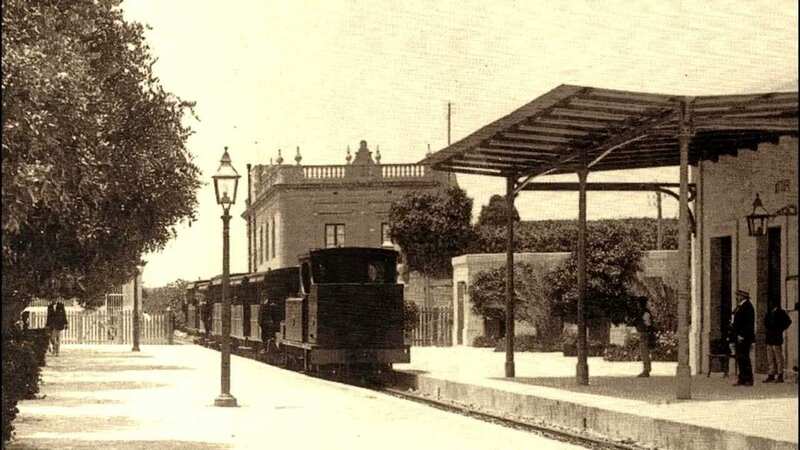 Although popular, its life-span was short although today the old terminal station in Rabat is still around. Just as marine transport was essential, air transport was and is equally a vital link to the rest of the world. After WWII and a hive of military activity, commercial aircraft run by British European Airlines (BEA) (Elizabethans on a seven-hour haul to London with fuelling stop overs in Corsica or Sardinia or Nice) and a flight to Rome. 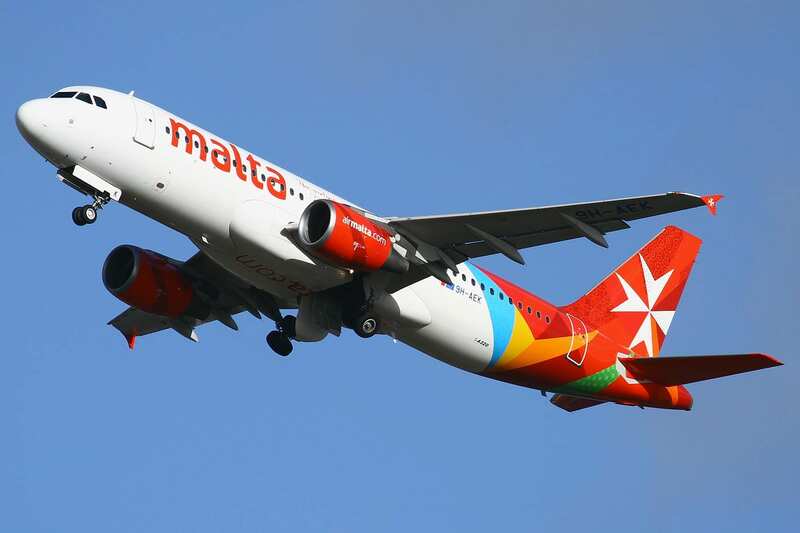 Nowadays, Malta has its own Air Malta and is serviced by British Air, Alitalia, Lufthansa, Emirates, Ryanair, Easyjet and a host of others. The majestic Grand Harbour has become a hub port for Mediterranean cruise liners and Malta has a wealth of yacht marinas whilst the fishing port of Marsaxlokk teems with multi-coloured luzzu boats bobbing around on the blue Mediterranean Sea. 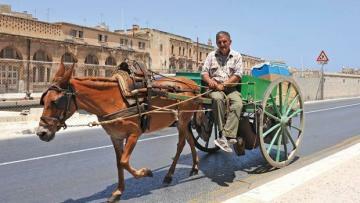 The horse-drawn karozzin still clip clops its way around Valletta and other areas nowadays for tourists of course but essential to the Maltese before the advent of motorised transport.